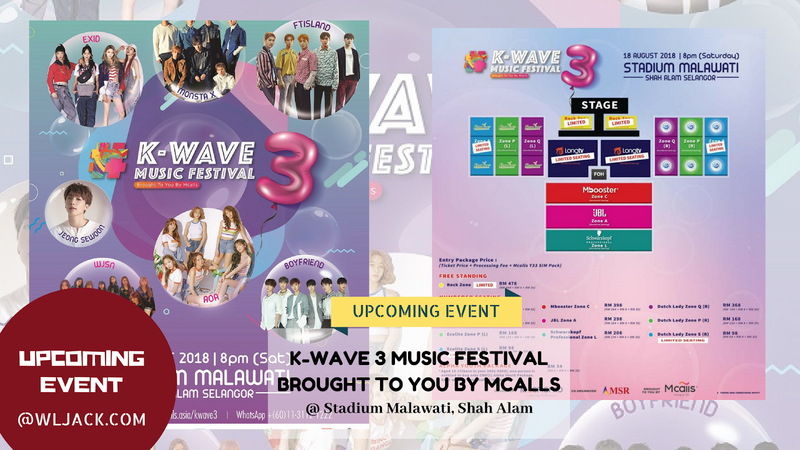 Kuala Lumpur, July 2018 - Organised by MacpiePro and co-organised by MSR, K-WAVE 3 Music Festival Brought To You By Mcalls make a great comeback in just after 7 months! 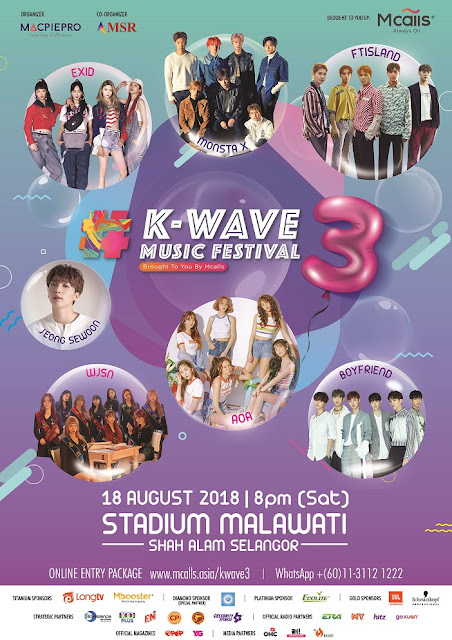 This time around, the concert is bringing a wave to Stadium Malawati, Shah Alam on 18th August 2018 from 8pm onwards with the presence of Kpop Sensations such as FTISLAND, EXID, MONSTA X, AOA, JEONG SEWOON, WJSN and BOYFRIEND! The festival, which has been held outdoors for the last 2 consecutive years, is making a change by moving indoors this time around! This will bring the fans closer to the 39 idols that made up the 7 acts for non-stop excitement lasting more than 120 minutes! 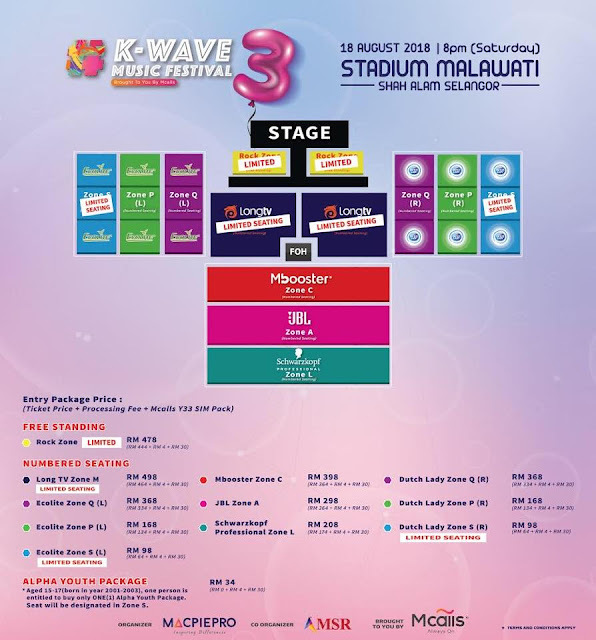 In addition to the excitement, there will be a special promotion for K-pop fans aged between 15-17 years old (born in year 2001 to 2003). The fans in this age group get to experience the festival at only RM34. The same age group who are already Mcalls fans get to catch the wave for almost FREE by redeeming an Entry Package, which is only subject to RM4 Processing Fee. WHERE TO PURCHASE THE TICKETS?